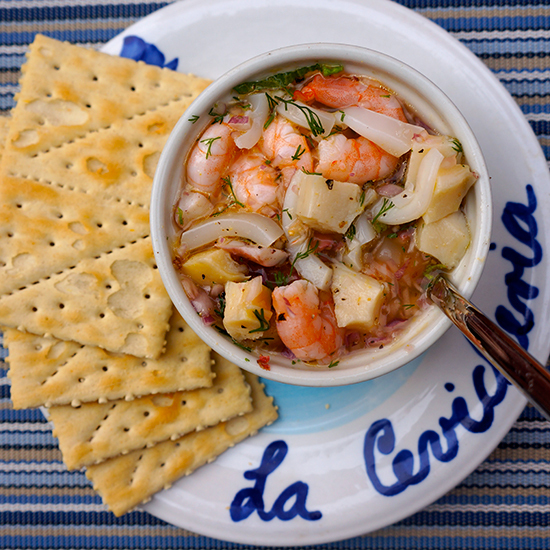 Most Latin American coastal countries have their version of ceviche: fresh chopped seafood dressed with citrus and herbs. In Cartagena, this tiny shoebox draws visitors from around the world—including Anthony Bourdain—with ridiculously fresh fish tossed with intensely bright mandarin orange and lime juices. Calle Stuart 7-14 San Diego. 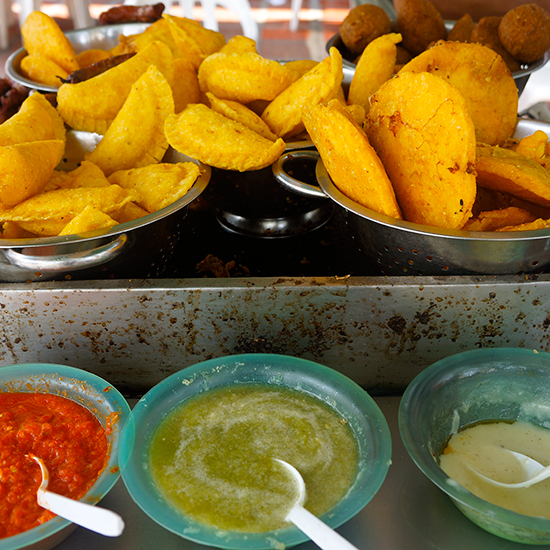 A beloved breakfast along Colombia’s Caribbean coast, the arepa con huevo is not easy to make: A whole, uncooked egg is sealed inside two rounds of cornmeal dough and deep-fried to tender, flaky perfection. 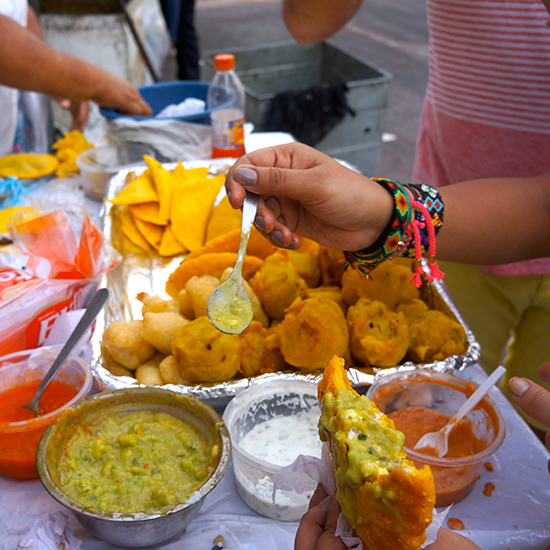 Cartagena’s best are sold at street carts. The undisputed master might be Elaine Gomez Lozano, who’s made hers fresh daily at her cart on Calle Puerto Velo in the Old City for 14 years and counting. 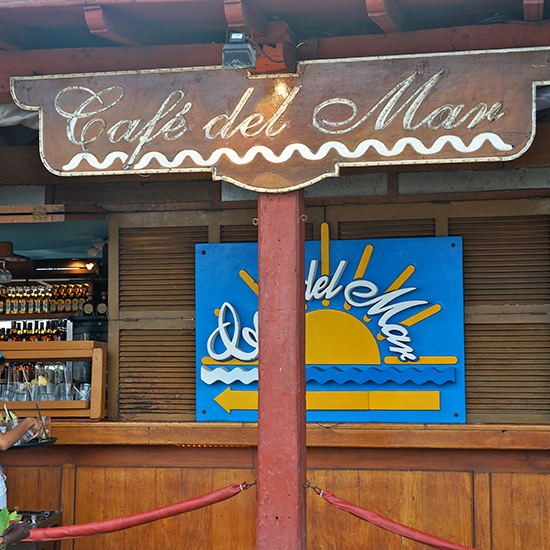 Built into the high, fortified walls surrounding the Old City, Café del Mar offers an ideal sunset haven for weary sightseers. Along with clean-flavored mojitos, the café offers some of the best views in the city, from the white sands of Bocagrande to the imposing fortress of Castillo de San Felipe. cafedelmarcartagena.com. The midday tropical heat becomes far more bearable with an artisanal popsicle. 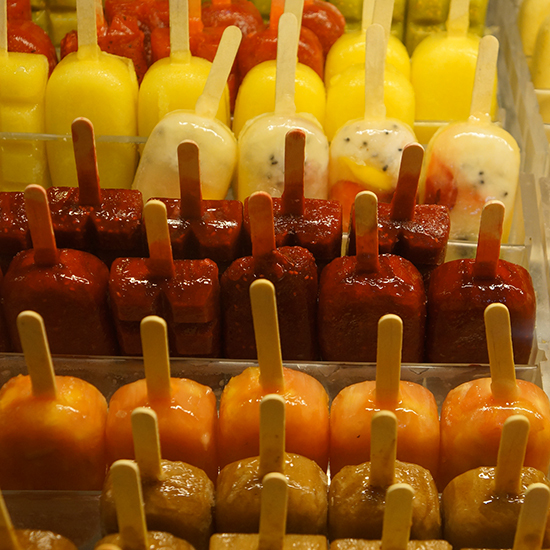 La Paletteria’s appealing display case showcases dozens of flavors from lush mango to caramelly arequipe (Colombian dulce de leche). The best are made with local Colombian fruits like tangy lulo and the zingy passion fruit maracuya. Calle 109 No. 16, La Ciudad Vieja. This small café in Cartagena’s Bocagrande neighborhood has plenty of outdoor seating. But locals order the fresh arepas, empanadas and pandebono (Colombian cheese bread) to go from the vendor set up by the entrance. It’s perfect for a picnic on the beach, which is only a block away. Corner of Calle 6 and Carrera 3, Bocagrande. 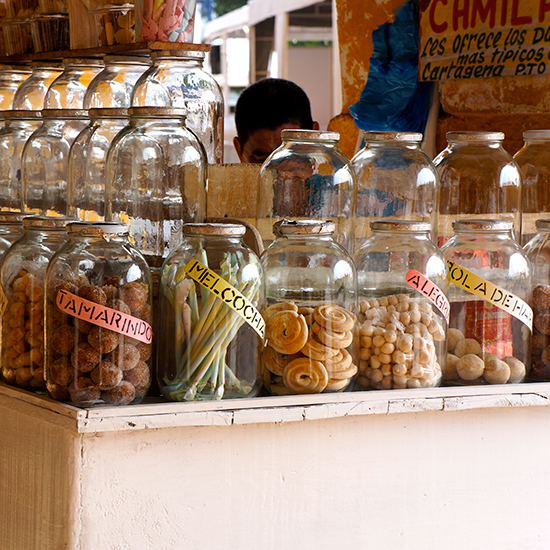 Off the Plaza de los Coches, the Old City’s main square, stands the sweetly named Portal de los Dulces, or “gateway of sweets.” Under the covered arcade, Colombians sell jars of handmade confections like tamarind balls and cocadas, a deliciously chewy coconut candy. Look for the cocadas de guayaba, sweetened with guava juice. The Cartagenan favorite pargo rojo frito combines crispy-fried, juicy whole red snapper with luscious plantains and sweet, mellow coconut rice (steamed in coconut milk). 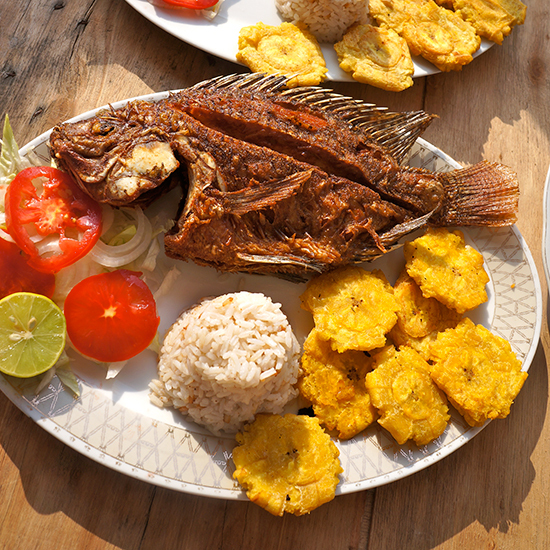 Pargo rojo frito is included on most menus; for one of the freshest takes, head to La Boquilla, a small fishing village 20 minutes north of Cartagena. Most day trip packages to nearby Volcán de Lodo el Totumo stop off in La Boquilla for lunch at one of its beachside restaurants, where the dish is prepared with fish caught earlier that day. Day trips to the Volcán del Lodo el Totumo can be booked through a hotel concierge or independent guide. Less than an hour by boat from Cartagena, the Islas del Rosario attract visitors with their pristine white sand beaches and blue Caribbean water. Isla Baru is often the first stop, where visitors can sunbathe on the stunning Playa Blanca. Plus, local vendors stroll the shoreline selling fruit cocktails made to order. 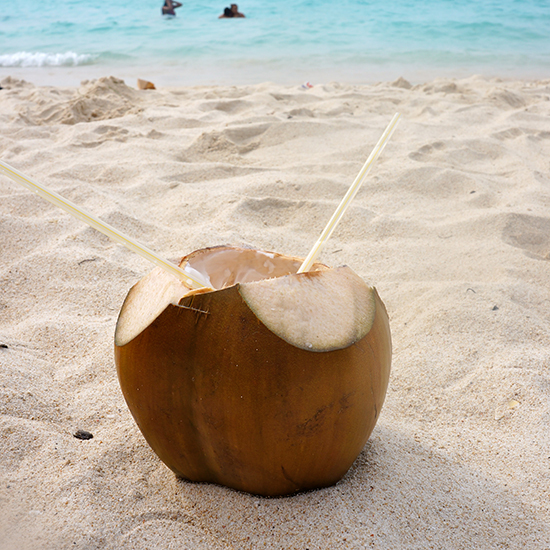 Purchase a piña colada or caipirinha, and they’ll likely serve it in the coconut they sliced open to make it. Isla del Rosario has an oceanarium where guests can swim with dolphins. 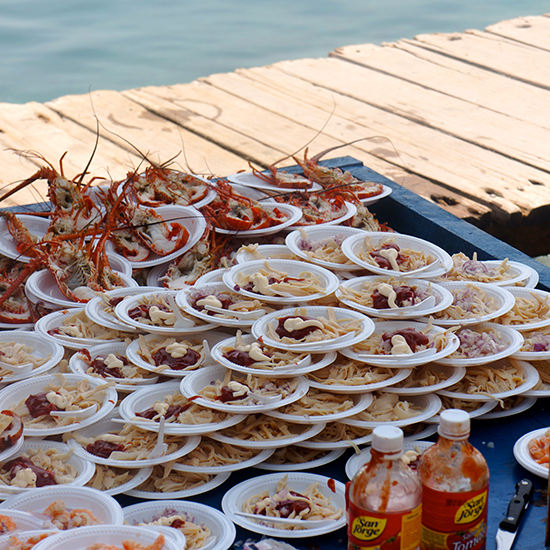 But food lovers head to the docks, where fishermen haul in fresh lobster, calamari and shrimp to sell with cocktail sauce on the side. The seafood is fresh enough for you to skip the sauce—ask for a squeeze of fresh lime instead. Day trips can be booked through any hotel concierge or independent guide. 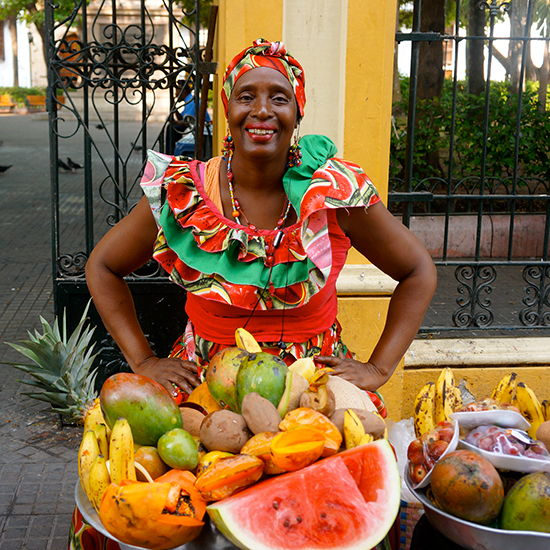 Cartagena’s legendary fruit vendors, the women known as Las Palenqueras, bring even more color to the vibrant city. On most corners in the old city, they stand in bright dresses selling fruit piled high in bowls they carry on their heads. They cut it all to order, offering some of the juiciest watermelon, bananas and papayas available anywhere.